PennsylvAsia: Evangelion: 3.0 You Can (Not) Redo (ヱヴァンゲリヲン新劇場版：Q) at Dormont's Hollywood Theater, January 10 and 11. 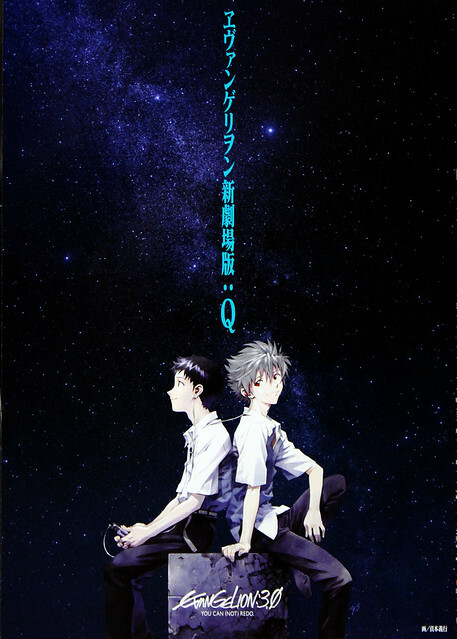 Evangelion: 3.0 You Can (Not) Redo (ヱヴァンゲリヲン新劇場版：Q) at Dormont's Hollywood Theater, January 10 and 11. The theater is located at 1449 Potomac Ave. in Dormont (map), south of Pittsburgh. And if you'd like to take the subway to the theater, it's a little more than a block southeast of Potomac Station. Korean BBQ is not long for Pittsburgh. Magnifico at Pitt, January 28. Malaysian singer Yuna at Altar Bar, February 12. Free candy for Kim Jong-un's birthday, January 8.